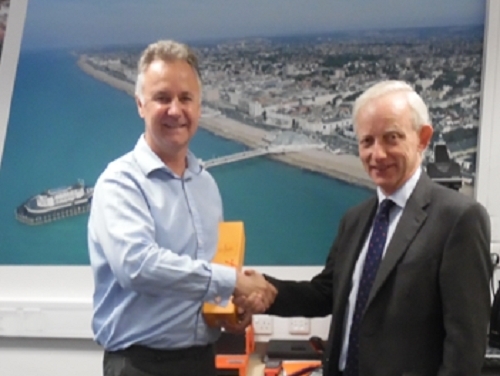 Recently Duncan Marsh - Business Space Partner for SHW’s Worthing office – celebrated 20 years with the firm. Duncan (pictured above with Head of South Coast Region David Martin) – is just one of several people in the firm to have recently celebrated or have upcoming long service anniversaries. HR Manager Sharon Briggs said: “In these times where company loyalty is perceived to be short, it is great to see individuals establish and maintain long-lasting careers within our Partnership.